The ACLU and the Association for Molecular Pathology have sued Myriad Genetics and the U.S. Patent Office over Myriad’s patent on the BRCA I and II genes. The initial ruling, issued by Judge Sweet, was that DNA isolated from its natural environment cannot be patented because it is a product of nature which is accordance with patent law. Of course Myriad appealed the ruling. Then a higher court that deals with patent cases overturned Judge Sweet’s ruling saying that DNA isolated from the body to be tested was remarkably different that the DNA found in the body. I found this decision ludicrous. I have isolated DNA from thousands of patients and never once did I think it didn’t contain the same information as DNA inside their bodies. If I did think that isolated DNA was so different from DNA inside the body that it was a patentable invention, I wouldn’t bother testing it. This case then went to the Supreme Court. The Supreme Court has rightfully overturned the stupid decision that human DNA outside the body was remarkably different than inside the body and sent the case back down to the lower court to be reconsidered. The high Court cited another ruling that they made earlier that laws of nature are unpatentable. Please, read more for some background on gene patenting and why you should care about this case. The legal battle over federally funded embryonic stem cell research is also still ongoing. You can read some background on it here. Oral arguments for the plaintiffs in the current appeals case were heard in April. It’s predicted that a ruling will come sometime this fall and that, no matter the outcome, it will ultimately also end up before the Supreme Court. As I said in January, the outcome of this lawsuit is significant because here in the United States there are absolutely no laws limiting any kind of research involving the creation, use and destruction of human embryos (including human and human/animal hybrid cloning). The only thing we have in terms of protecting human embryos from exploitation at the hands of researchers is the Dicky Amendment prohibiting the Federal Government from paying for such research. Surely, we can at least keep that up. Do you know if these rulings effect only human DNA? 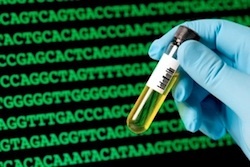 What about gene sequencing patents used in the creation of GMO crops? I think most GM crops we plant list the patents they were created under right on the seed tag-hope we don’t lose gene patents as an agricultural tool! Tyler – My guess is that this is just about human DNA, but I don’t know that for sure. I Enjoyed Every Minute of It!